Executive Director Rob Schware talks to Mindful Yoga Therapy for Veterans faculty member Pamela Stokes Eggleston for The Huffington Post Blog, learning how yoga providers can offer special support to the spouses and caregivers of veterans. Click here to read more about Pamela’s inspiration for working with veterans and their families, and her advice for other yoga teachers who are serving this population. Mindful Yoga Therapy for Veterans Recovering from Trauma features simple but effective yoga practices that were developed to help returning soldiers cope with post-traumatic stress disorder, traumatic brain injury and depression. 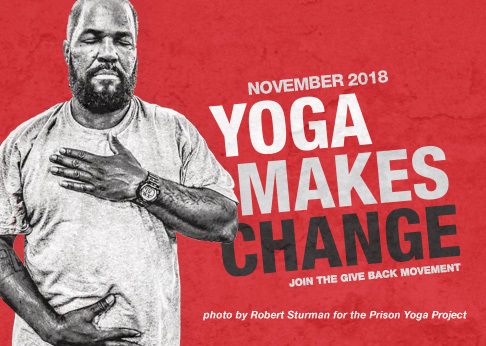 When you purchase this multi-media guide for yourself or someone you know, you’ll gain a valuable tool for dealing with stress and support Give Back Yoga Foundation’s programs for veterans. Or purchase a copy on behalf of a veteran in need by using the “Give a Gift” feature on the right side of this page.